Americana Music Festival & Conference is only SIX months away! 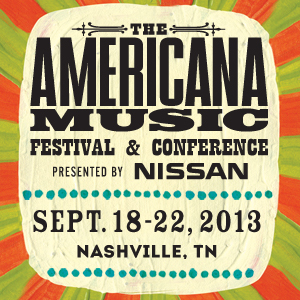 The Americana Music Festival in Nashville, TN is only SIX months away. It begins on September 18th and will have FIVE days of excellent music. They have not announced who will be playing this year, but with the explosion in the popularity of the Americana genre, I anticipate that it is going to top all the years before it! Music industry folks have conference events to attend also, but for fans there will be FOUR nights of concerts in at least six different venues for only $50. You can see legends and hot new bands all for that price. It really is a steal (but don't tell them or they might raise the rates!). Wristbands have not gone on sale yet but I will let you know as soon as they do. In the meantime, follow @AmericanaFest (or like them on Facebook) so you can stay up-to-date too! Spend your day seeing the sights around Nashville and spend your nights hearing the best music there is to offer! Are you planning to be there?